My latest op-ed, title above, appeared in Thursday’s Virginian-Pilot. We are early in the General Assembly session yet a number of initiatives have been summarily dismissed, primarily at early morning meetings of subcommittees. 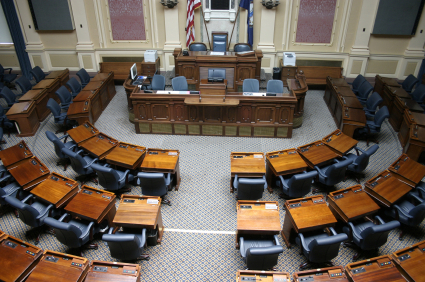 Lacking notice – not unlike the situation in Suffolk, I might add – the ability of citizens to have a voice in our government is severely curtailed. Not all of us live in Richmond, where 140 legislators are in town, ostensibly to do the people’s business. A lot of us have jobs that make it impossible to travel there on short notice. We try, though, to pay attention. That task is made so much more difficult by the actions of the leadership in the General Assembly, actions that are designed to limit the effect of citizens on their government. Part of this comes from the way that legislators view their constituents. Some legislators ascribe to the theory that they were elected to exercise their judgment on matters. They have more information than a citizen would have and, therefore, are in a better position to make the call. I’d venture to say that those in leadership in the General Assembly adopt this position. Others listen to constituents and vote the way the majority of them would like (thank you very much, Sen. Ralph Northam). At the extreme, though, this becomes a “finger in the wind” kind of representative. Neither way of approaching decisions is always correct. Sometimes, legislators do have more information than their constituents. (Of course, I think they have a responsibility to share it with us, if they can, so that we understand why one decision was better than another.) And acting only on the wishes of the most vocal constituents is to abrogate the legislator’s fiduciary responsibility to represent all constituents. Those of us who follow the legislature know that the recent activity isn’t new. It just feels like it’s more egregious than in the past. There seems to be a growing disconnect between the leadership in the legislature and everyone else, with the leadership trying to cling to their power by shutting down dissent. This is no way to run a government. And as citizens, I hope we will remember this in November. I think this kind of thing has been such a trend for so long elected officials now think its acceptable. Plus they keep cutting away at what they are required to do. Examples are the bills where they have to notify citizens what localities are going to discuss in the paper and allowing people to attend council meetings by phone. Many times I have gone to local meetings and something was discussed which no one would have realized what it was by the description on the agenda. It seems many of our elected officials would like us to stay out our “our” business. Without people like you and Megan Rhyne (Virginia Coalition for Open Government) and other bloggers & citizen groups the general public would not know about these things till after the vote has occurred. Yes, but it is a trend that needs to stop. The bottom line is with House and Senate Sessions starting at noon, and committee meetings scheduled before and after House sessions, when does you propose subcommittees meet? During committee meetings? During session? The only times available for subcommittees are early in the morning or in the evening. What’s your answer, Vivian? You didn’t offer any. I’ve offered it before: extend the legislative session. We do not need, and I do not want, a full-time legislature. Let them go back to the real world and live with the laws they pass.